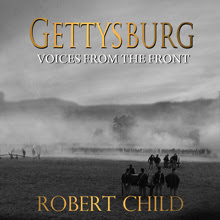 We are proud to announce the availability of two new Gettysburg films produced by Robert Child in honor of this day. 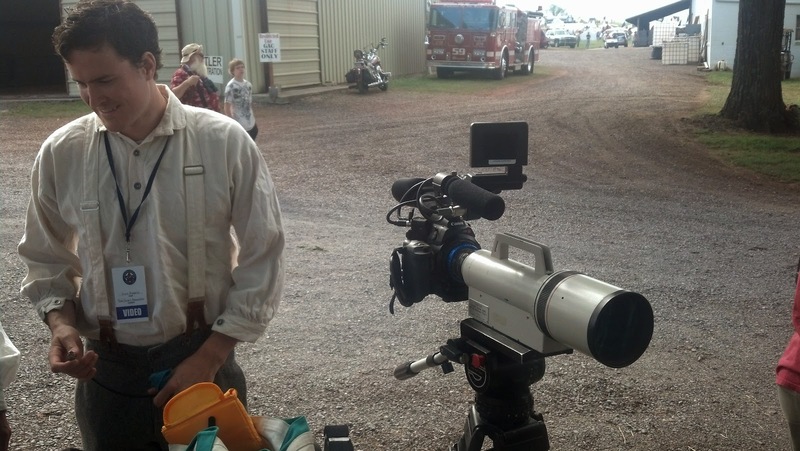 Shipping now is the official commemorative film of the 150th anniversary of the Battle of Gettysburg, Gettysburg Final Measure of Devotion. 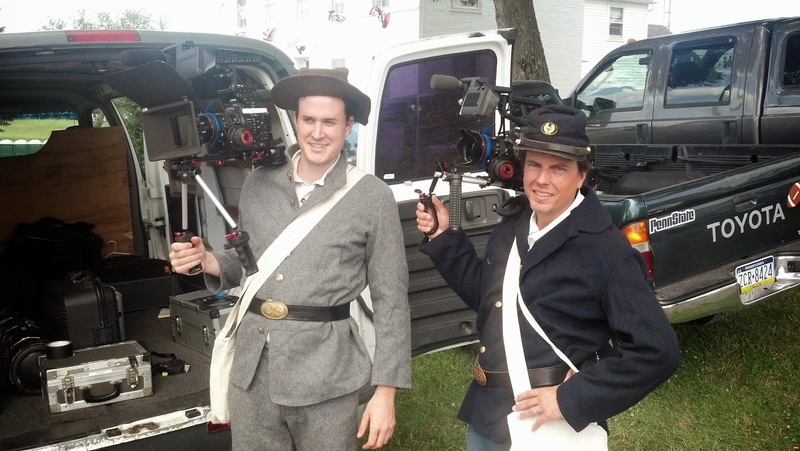 Gettysburg Final Measure of Devotion, written and directed by Emmy® nominated filmmaker, Robert Child, is the commemorative film of the 150th Anniversary Gettysburg National Civil War Battle Reenactment. The story highlight's Lincoln role as Commander-in-Chief. 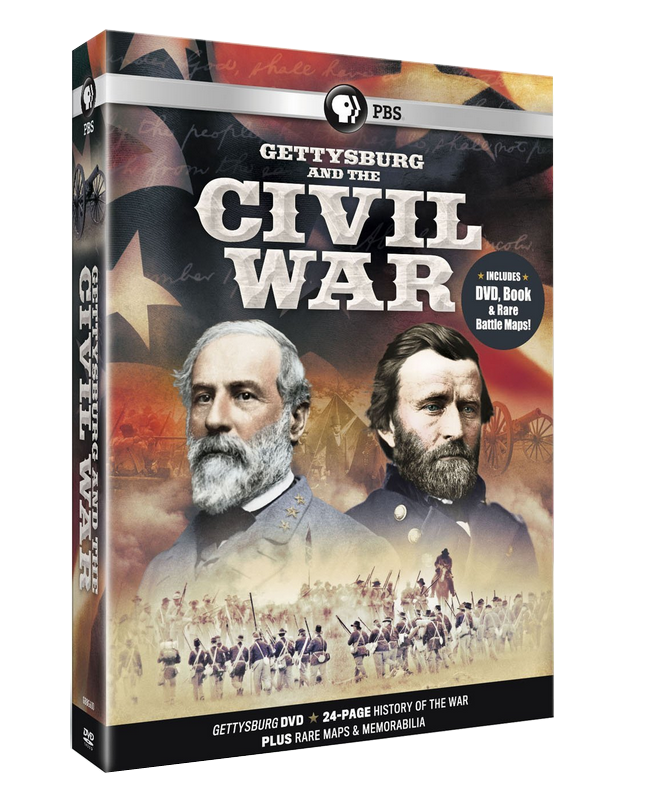 Also now available is Gettysburg and the Civil War a new box set from PBS Home Video. 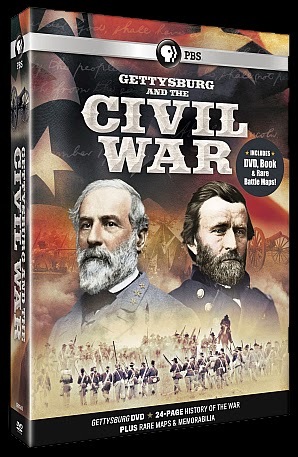 Now, travel back to this most significant of times and experience the Civil War as you've never seen it before. This premium collection - comprising a feature-length DVD, a 24-page history of the entire conflict, and a set of rare replica memorabilia and battle maps - pays tribute to the war that divided, almost destroyed, and ultimately defined our nation. 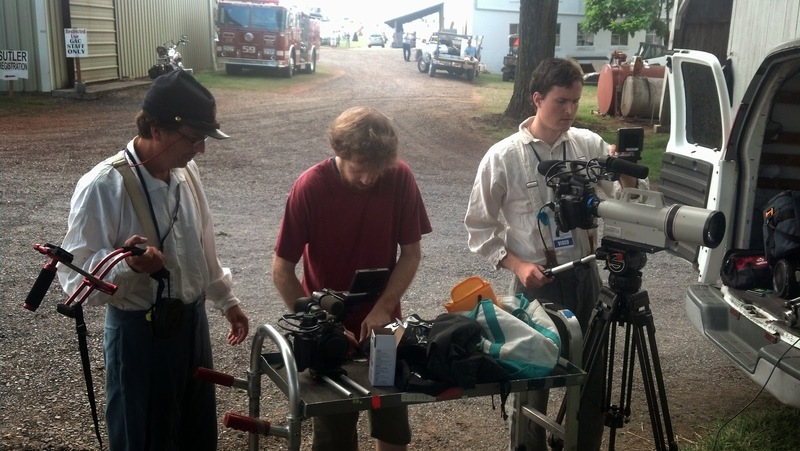 Release marks the 150th anniversary of President Lincoln's famous Gettysburg Address. Be sure to pick up a copy of today's (Nov 8th) USA Today newspaper. There is a front page article about the Wereth Eleven. 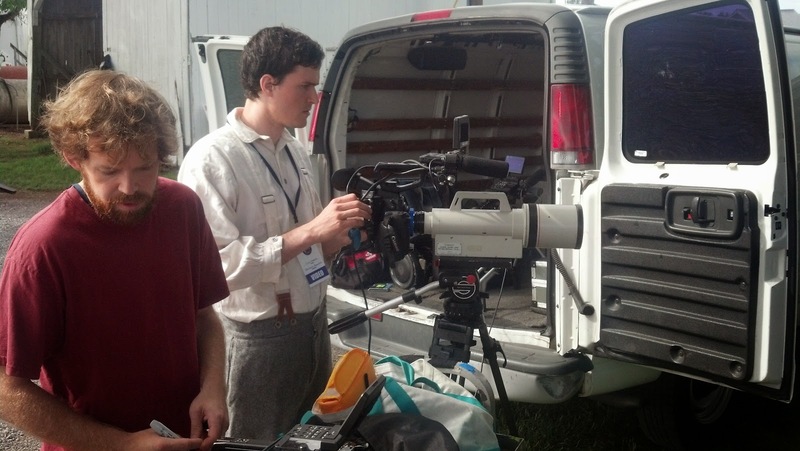 We provided the reporter background and contact for the feature story. We hope it brings more awareness to the men and what happened to them. If you want to read the story online go to this LINK. Spend this Labor Day Weekend with the mob. From today through Sunday grab a copy of Blood Betrayal, the FBI Thriller I wrote based on the true story I optioned from former Special Agent with the Philadelphia FBI, Charles Bud Warner. This book has never been part of the special Amazon promotion until now and I hope you can download a copy. If you do all I request is a review if you can spare the time as we are building the buzz to turn this story into a movie. 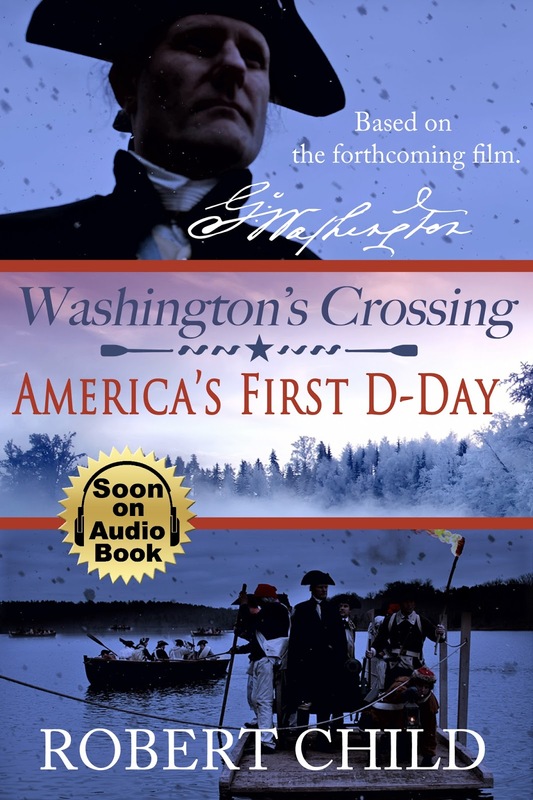 This past week we released the book, Washington's Crossing: America's First D-Day based on the script I wrote for the docudrama, America's First D-Day. 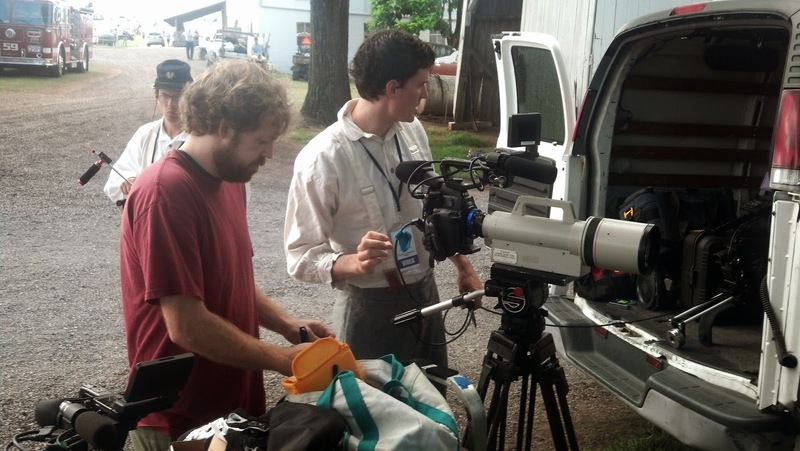 The Continental Film Alliance is mounting a big push to finish the film this winter. This book and the the forthcoming audiobook are a way to build awareness for this great project. The more folks that know about it the better. So if you have the opportunity please check into the book and tell friends about it. One of the motivations behind the entire project is to help preserve our own American history which is rapidly disappearing. Part of the proceeds of the project are earmarked to support historic preservation and I hope you will agree that is cause enough to consider purchasing a copy. *Below is an excerpt from the book as well as an except from the forthcoming audiobook which will be released in September and lastly the film's trailer based on the filming that has already been done. It is late afternoon, a six man British burial party concludes a graveside service for one of their own guarded by two Continental soldiers. The still smoldering ruins of Fortress Yorktown silhouette them. Outside a white clapboard colonial home American troops stand watch as British prisoners shuffle past. Victorious American general George Washington, forty-nine, arrives at the home on foot flanked by six aides. The American guards salute and part to allow him to enter the home. Inside, defeated British commander, forty-three year old Charles Cornwallis stands near the hearth as British officers move quickly past. As Washington enters the room stills. Cornwallis moves graciously to meet his former enemy with an extended hand. General Washington accepts it with a slight bow. General Washington commands the head of a long table flanked by both American and French officers on his left and across from them British officers to his right. The mood is subdued and formality prevails. Lord Cornwallis sits opposite Washington at the other end of the table. A courier enters with a dispatch that requires Washington’s signature. Signing, Washington is interrupted by Cornwallis who takes advantage of the momentary lull. The defeated commander raises his goblet of wine. Shocked silence descends as Cornwallis has extended Washington an extraordinary compliment. Men look to one another then turn anxious for Washington’s reaction. Washington lifts his glass. Officers on both sides follow suit as the General chooses his words carefully. Cornwallis nods; impressed by Washington’s humble honesty and his words bring forth warm acknowledgements from all gathered. As the men from both side concentrate on their meal, Washington’s mind drifts back five years earlier to the banks of the Delaware River. On the fast running river, Continental troops under fire clamor into small wooden boats. A vanguard of British light infantry in their red uniforms appears in the trees. They begin to fire at Washington’s escaping troops. Several Americans are hit. Washington’s maritime expert, Colonel John Glover, from Massachusetts hurries the General into the last boat. With relief Washington turns to Glover. A British ball hits the head of a nearby man in the boat with a crack. He falls lifeless into the rushing current. They are not out of danger yet. 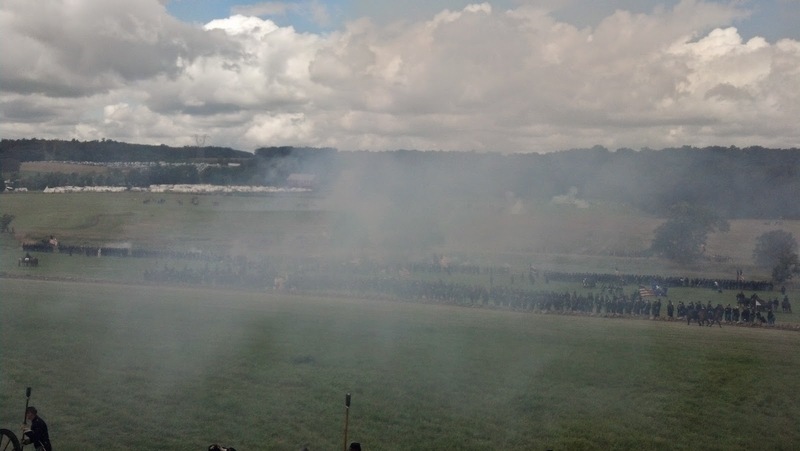 Washington’s men scramble for their muskets and begin to fire back at the British now crowding the river’s edge. Soon Washington is safely out of British musket range and he slumps a bit from exhaustion but catches himself and looks about him. His men look to him for strength he reminds himself to remain steadfast. The Continentals had been chased across the length of New Jersey for more than a month from Fort Lee in the north to Trenton in the south. Finally they are able to put a river between them and the British if only temporarily. 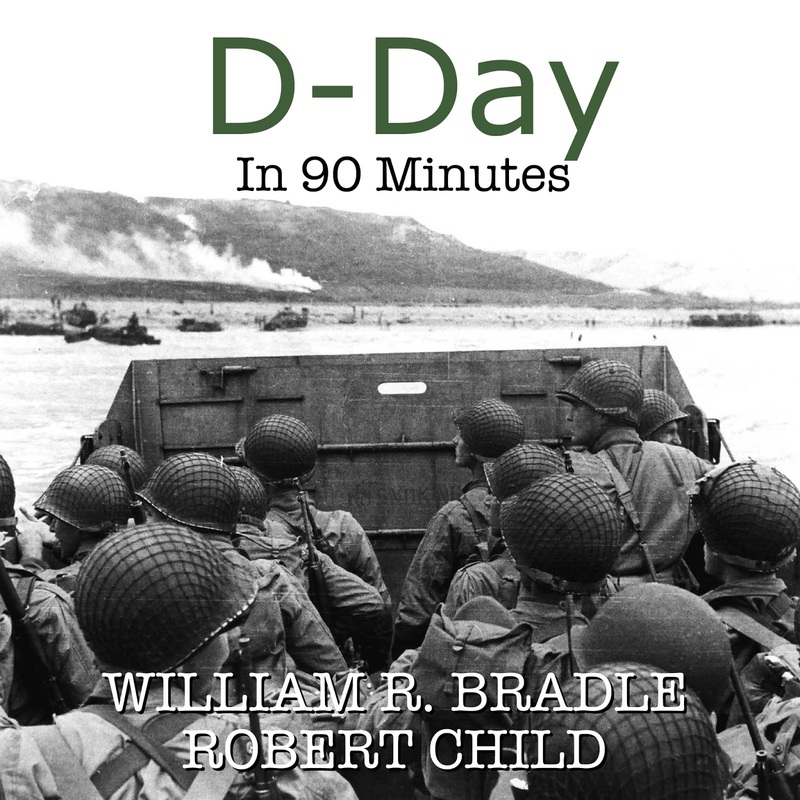 Production on the Audiobook version of D-Day in 90 Minutes has been completed in Los Angeles and we wanted to provide you a sneak peek or more fittingly a sneak listen to an excerpt of the audiobook before the release. My writing partner on the "Minutes of History" series Bill Bradle and I both came to the same decision on the narrator based on more than 15 auditions. 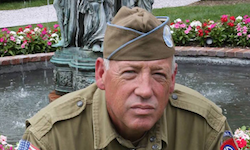 Travis T. narrates D-Day in 90 Minutes and we think you'll agree he does a heck or a job! 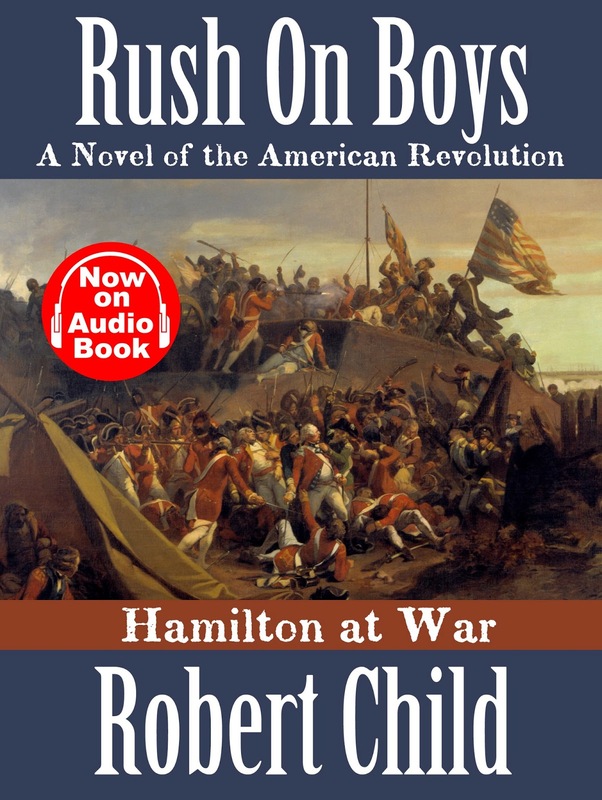 Take advantage of the summer sale on the story of Alexander Hamilton's war time service in Rush On Boys: Hamilton at War. 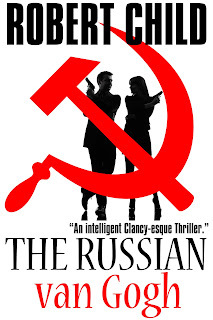 Just .99 cents on Kindle for a limited time. And don't forget the audiobook as well! 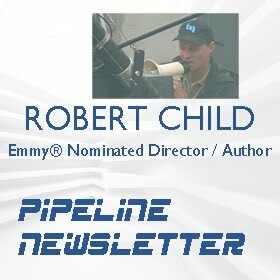 Subscribe to Rob's mailing list. Get a FREE Book! 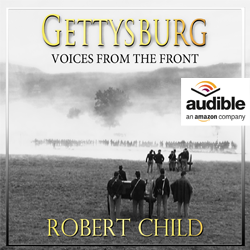 Just in time for the 150th anniversary of the Battle of Gettysburg my company has released a new first-person audio book, Gettysburg Voices from the Front. Hear the story of the battle told from diaries, letters and first person accounts in a compelling narrative that keeps you on the edge of your seat. 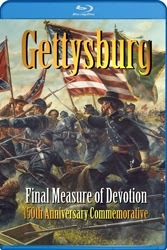 Tired of reading books on Gettysburg? Try listening to one, today. Excerpt. below. 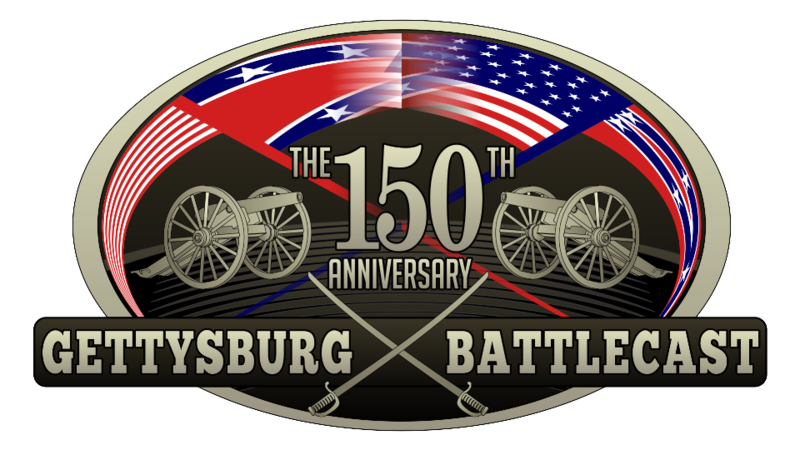 I will be speaking with host, Steve K. Bannon this Sunday night June 30th at 9:55P EST on the upcoming Gettysburg 150th anniversary celebrations and all the excitement including the Battlecast. I will be speaking with host, Steve Bannon, tonight at 9:50P EST on the upcoming Gettysburg 150th anniversary celebrations and all the excitement including the Battlecast. Released Today in Honor of D-Day. 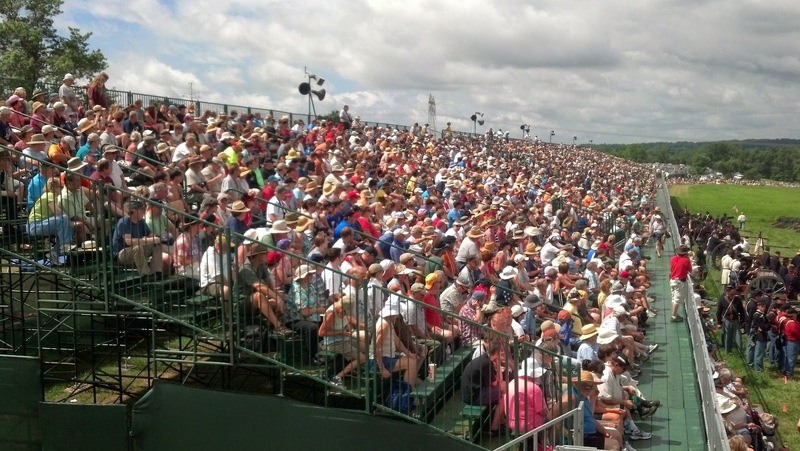 D-Day In 90 Minutes. 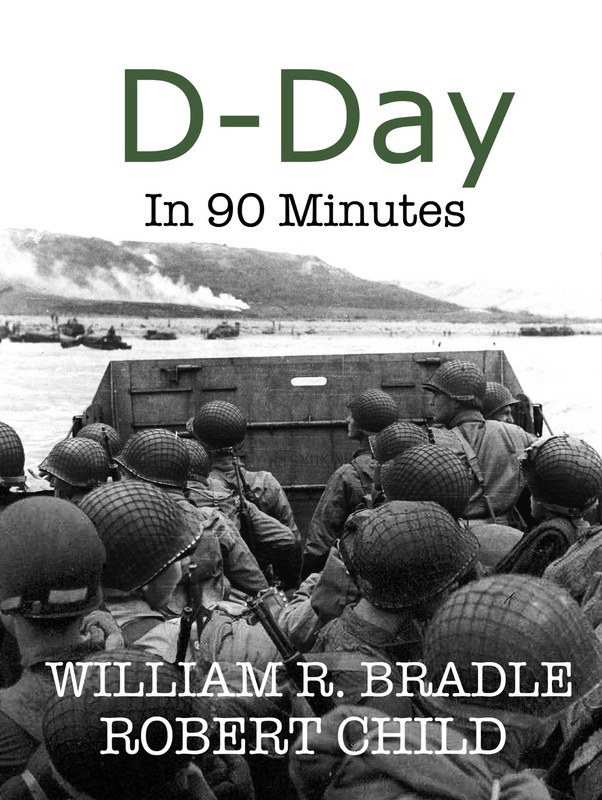 What originally began is D-Day in 60 Minutes had to lengthen to D-Day In 90 Minutes. There was just too much great material to cut it back. Bill Bradle and I hope you have a chance to download the book which hit Amazon sites across the world today. If you subscribe to satellite radio I hope you can tune in tonight (Sunday) at 9:40P for Breitbart News Sunday, Channel 125. 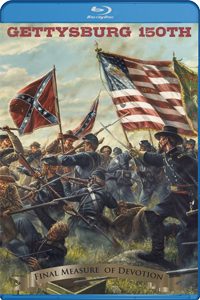 I will be speaking with host, Steve Bannon all about the upcoming 150th Gettysburg Anniversary and events surrounding the reenactment and our live streaming Pickett's Charge. Next week I will be releasing D-Day In 60 Minutes which is my first collaboration with writer William Bradle. It is actually the first in a series of books we have decided to write together called, "The 60 Minute History Series". People are busier today than ever and there is often no time to read a 300 page history book so this series is an answer to that need. The quality will be extremely high and the books accurate and compelling. 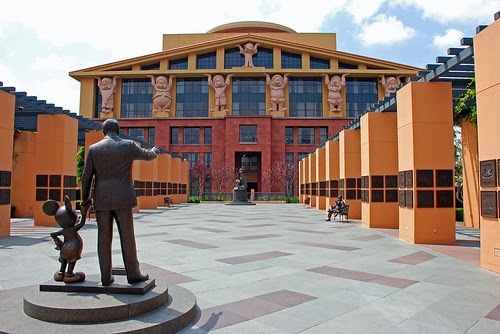 They will be broad topics but the detail within them will be razor sharp. There is a large history audience that has somewhat been left behind by outlets such as the History Channel and other networks which craves more and more historical content but in a an hour-long length. Our opinion is if the reader knows going in they can finish the book in an hour they will set aside time for it as they used to do with great History Channel programs. And this has somewhat been proven by other shorter history book series. 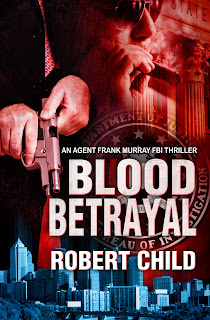 Each book in the series will also be produced as an audiobook and I am seeing great growth with the audiobooks I have released so far this year. 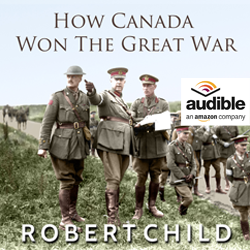 And the D-Day audiobook should release in July. Hopefully you will consider picking up D-Day In 60 Minutes which hits bookstores next week. Below is a preview of what you'll see in an excerpt from Chapter One. -Hitler thought he could stop the Allies at the beach. Stalin wasn’t sure the Allies would ever invade. And then there is geography. As with Japan in the Pacific, there were a lot of miles between the Germany’s enemies and the homeland. Allied forces were in Italy, but Rome is a thousand miles from Berlin. The Russians were advancing but still 1,200 miles from Berlin. More importantly, they were 1,600 miles from the industrial heart of Germany, the Rhine-Ruhr district. Without the industrial capacity of the Rhine-Ruhr, the German army and air force would not have the weapons to fight; the war would be over. The southeastern tip of England is less than 300 miles from the Rhine-Ruhr district. The shortest path to victory lay through France and Hitler knew it. Hitler saw the battle coming; he had the enemy, the time and the place correct and still failed. He had the foresight but not the means to stop the invasion because he lacked resources. Hitler was facing and fighting the enemy on three land fronts—Russia, the Mediterranean and now the threat to Western Europe. At the same time, there was fighting on the home front as the British bombed military and civilian targets at night and the Americans bombed during the day. Hitler had to prioritize, all of the fighting and defending required men and material. In late 1943 he picked the Western front to receive the logistical support to try and stop the invasion he saw coming. But was the invasion important to the Allies? It certainly was not to the United States Army Air Corps. The senior officers of the air force were convinced that around-the-clock bombing of Germany would bring the country to it’s knees. And they were probably right. The main reason for the invasion was to keep Russia in the war. Hitler knew the Allies were a marriage of convenience—he believed the capitalist societies of the United States and the United Kingdom were actually the natural enemies of the communist regime of the Soviet Union. The Cold War that ensued after World War II would prove him right. The invasions of North Africa, Sicily and Italy did nothing to prove the mettle of the British and Americans to Stalin. And he cared less about the sacrifices of the Marine Corps in the Pacific. Stalin could do the math as easily as anyone else, and only a stab at the Ruhr valley would keep him in the war. That is why the British and Americans invaded Normandy. In honor of our soldiers this Memorial Day Weekend, my distributor, Janson media is running a FREE Kindle promotion. 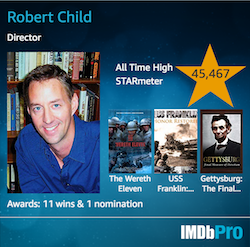 Download the books, Silent Wings: The American Glider Pilots of WWII and Lincoln and Lee at Antietam: The Cost of Freedom which are both based on my award-winning films. From the early race to build gliders to the D-Day invasion at Normandy and Nazi Germany's final surrender, Silent Wings, reveals the critical role gliders played in World War II offensives. 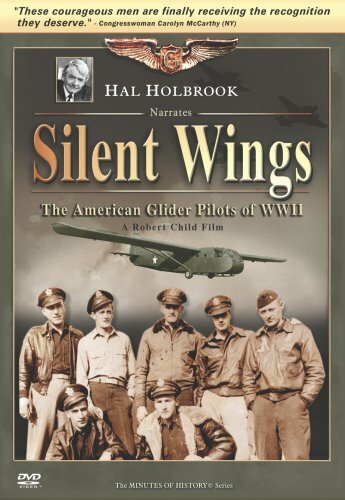 Through interviews with glider vets as well as WWII war correspondents, Walter Cronkite and Andy Rooney, the book places the reader right at the center of the action in the dangerous world of the American glider pilot. During WWII, 6000 young Americans volunteered to fly large unarmed cargo gliders into battle. For these glider pilots every mission was do-or-die. It was their task to repeatedly risk their lives landing the men and tools of war deep within enemy-held territory, often in complete darkness, using only a stopwatch to navigate. Thousands of lives were saved and battles won because of their efforts. In fact, one pilot interviewed said - the 'G' in their emblem didn't stand for glider; it stood for 'guts'. It's September 17, 1862 and President Abraham Lincoln needs a victory in order to issue the Emancipation Proclamation and end slavery in the South. But Robert E. Lee has other plans - invade the North. "Articulate and gut-wrenching...a must for any history buff." 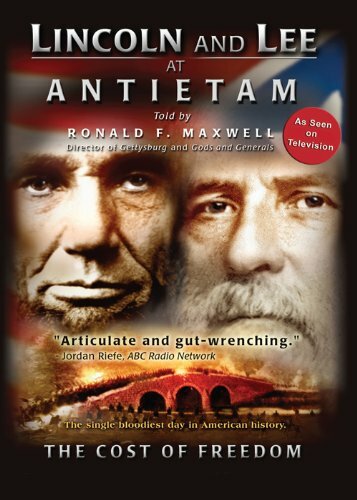 --Jordan Riefe, "ABC Radio Network"
"A collection of highly regarded historians offer educated insight into the bloodiest day in American history." 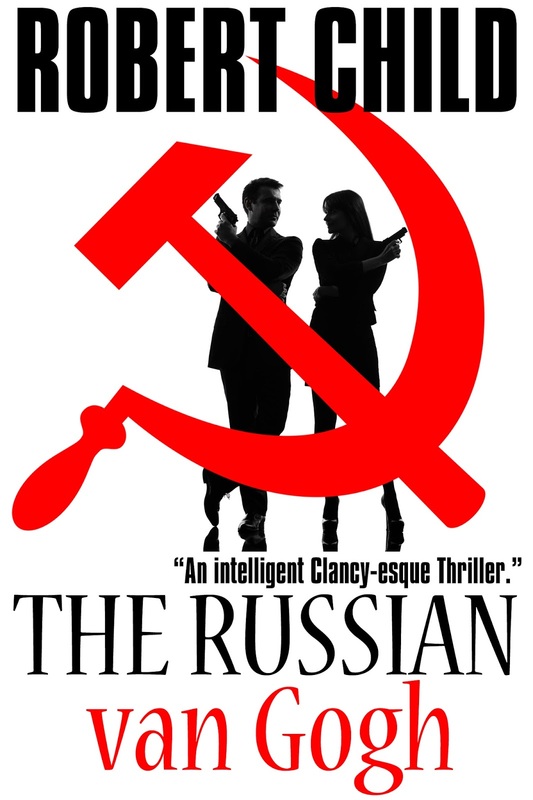 --Jason Buchanan, "All Movie Guide"
On the heels of my successful Amazon promotion last week for Rush On, Boys Hamilton at War, this weekend (starting Sunday) the Kindle version of my book, The Russian van Gogh, will be available for free immediate download on Amazon. 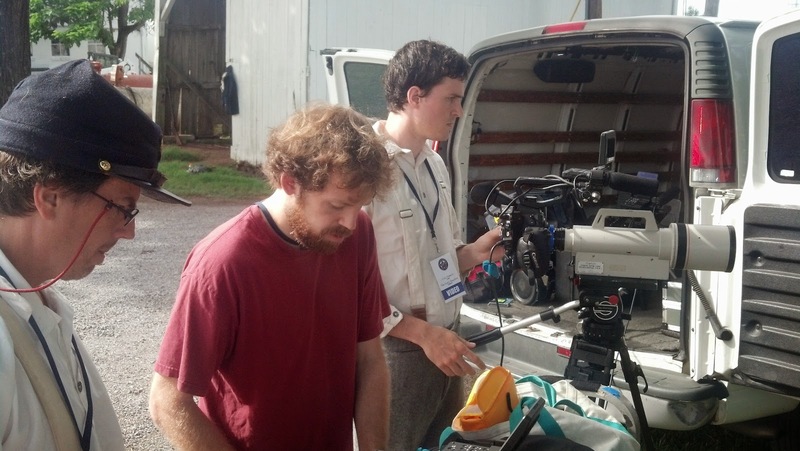 A fast-paced ride, The Russian van Gogh, is the latest thriller from writer / director and Emmy® nominated Filmmaker, Robert Child. 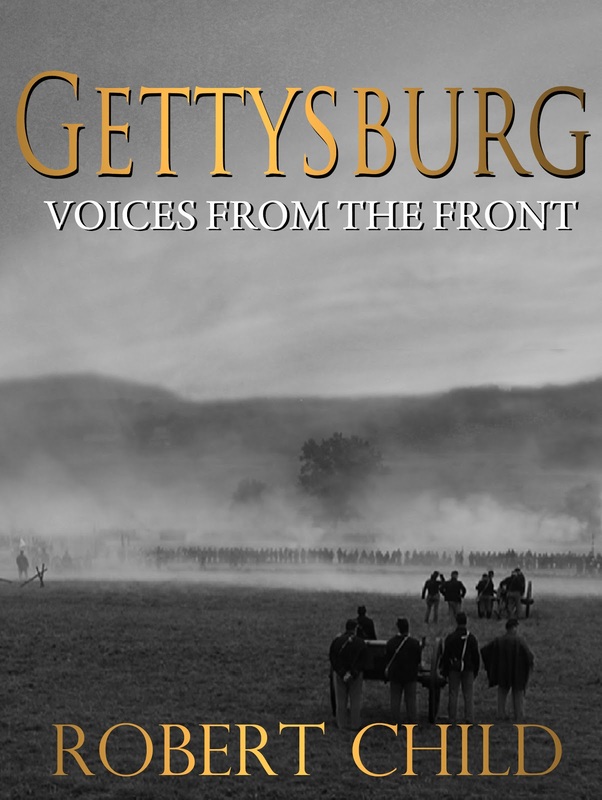 Gettysburg Voices From the Front Released Today. This is a compilation I have been wanting to do for a long time. 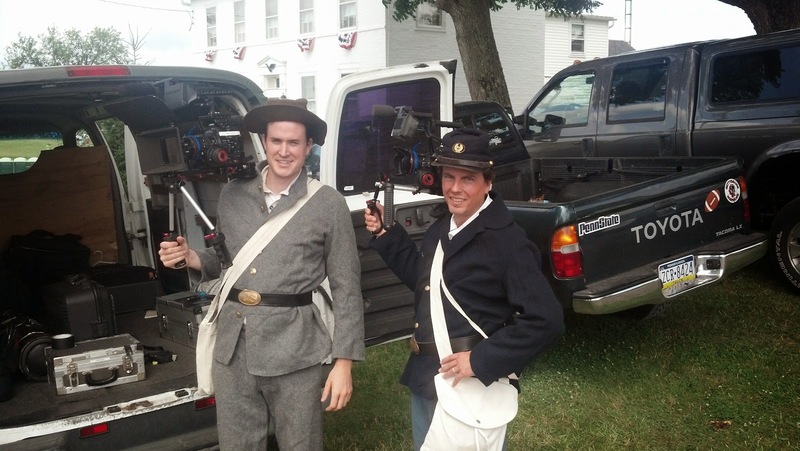 Over the past decade I have written and produced two films on the battle of Gettysburg and am producing my third and final one, Gettysburg: Final Measure of Devotion, this year. During all that time in doing my research I have compiled volumes of first person accounts, letters, diaries and dispatches that have helped me support the narrative and the stories I wanted to illustrate. 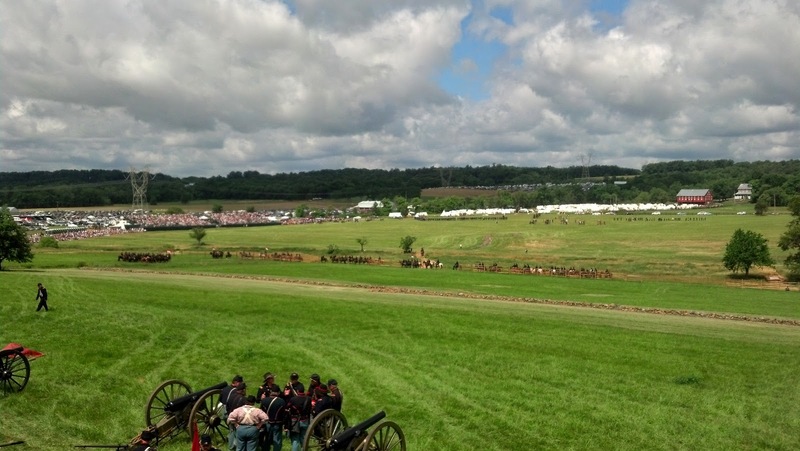 First person accounts are the living link we have to what occurred at Gettysburg. And although some of the accounts may be less than accurate due to the various authors seeing only their narrow view of the conflict and having limited information - they still bring to life the battle in a deeply personal way. And I wanted to give that history a voice uncluttered by modern interpretation. 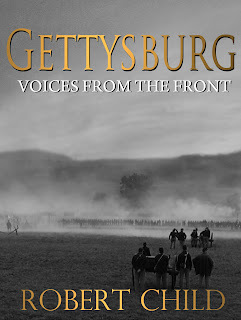 There is, of course, great value in the modern view of the battle and I highly recommend the epic history effort by my friend, Allen Guelzo, Gettysburg: The Last Invasion, releasing this month. (May, 2013). But to gain a sense of the chaos and uncertainty in the moment at Gettysburg in 1863 you have to return to the words of the soldiers who were there. You could call this an immersive type of history as I have woven the first hand accounts together with photographs so that the story unfolds in a linear way. As you read hopefully you will discover the battle wrapping around you with all the intense emotion, fear and uncertainty on both sides. A Union victory was far from a foregone conclusion at Gettysburg and these words from two centuries ago bring you closer to that history and those times. I hope you'll take a moment to check it out at an online retailer.